Back in the day, promotional ads for The Yellow Pages would include the popular tagline, “Let Your Fingers Do the Walking”. 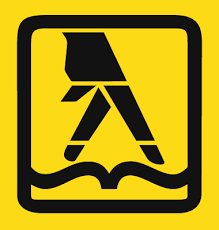 Nowadays, the antiquated Yellow Pages are more likely to be an artifact in a museum than a standard item on the kitchen counter. Instead, our counters are cluttered with cell phones, chargers, fitbits and other electronic devices that many people have come to rely on in their everyday lives. But for those nostalgic individuals out there, one thing hasn’t changed. We still let our fingers do the walking! Only now it’s on a small screen that we carry with us everywhere. With today’s technology, people have quick and easy access to important health information at their fingertips. We can track our sleep patterns, our calories, our menstrual cycles, even the number of steps we’ve taken throughout the day. You name it, whatever health information you’re looking for, there’s probably an app for that. Given the popularity of phone apps in today’s society, it’s not at all surprising to see so many that cater to everything from periods to parenting. This may explain why Glow – an app that claims to demystify personal health data to improve sexual, reproductive and maternal health – has recently expanded it’s features to address the needs of new parents by introducing Glow Baby which will focus on infant health. 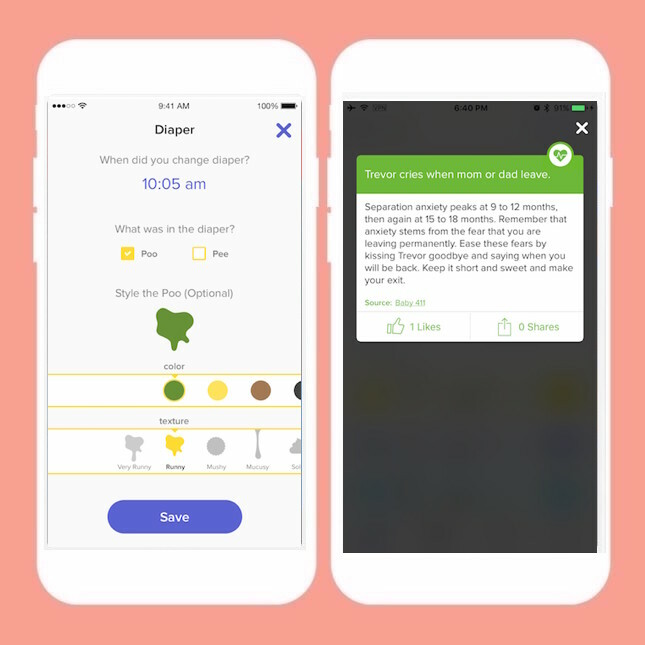 Using medical information provided by the CDC, and seeking insight and content from medical advisors like Dr. Ari Brown, pediatrician and notable author of “Baby411”, the Glow Baby app will allow users to track 101 different developmental milestones in baby’s first year. Parents can record everything from bottle and breast feeding schedules, growth charts, diaper changes, and sleep (or lack of!). A symptom tracker allows parents to keep record of when their little one is not feeling well. Based on what you input, the app will even give you an idea of what might be going on, and will suggest whether you need to call the doctor right away or just keep an eye on things. 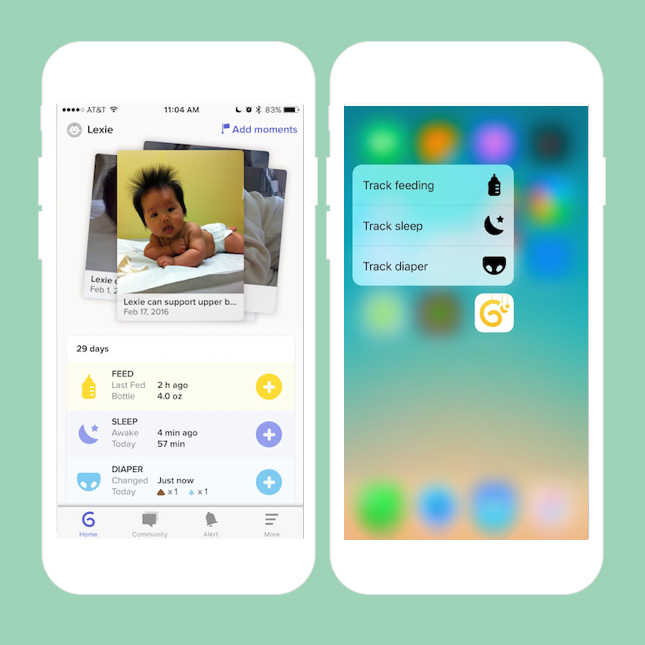 Since it’s common for more than one person to care for baby, the Glow Baby app allows multiple users, to include partners, caregivers or grandparents, to log in to keep track of a child’s information and milestones. If new parents are looking for support from their peers, there’s even a way for users to connect with others through the app’s built-in Glow Community. Of course, being a parent isn’t all about data tracking. Glow Baby provides parents with fun and functionality by enabling users to easily record notable events with a date and photo. These recorded milestones can then be used to create photo albums and baby journals, all of which can easily be shared with friends and family. Learn more about the different Glow apps here, and let us know what you think. 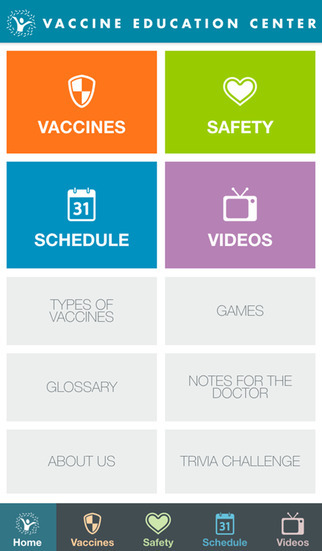 Want a plethora of trustworthy vaccine-related information at your fingertips? One of the best immunization-specific apps for parents was designed by The Vaccine Education Center at the Children’s Hospital of Philadelphia. Vaccines on the Go: What You Should Know is a one-stop shop for just about everything a parent may want to know about vaccines and the diseases they prevent. Not only does it help parents to quickly sort fact from fiction, it also allows parents to easily track immunization schedules. There’s a useful function that allows parents to develop a list of questions and save them with other notes they would like to discuss with their doctor. Or, if they prefer to get their questions answered right away, they can utilize the app to send a direct email to the Vaccine Education Center for follow-up. Do you have the creativity and ingenuity it takes to be a Disease Detective? If you’re a teacher, student, parent or science lover looking for a fun and interactive game, this clever app from the CDC called Solve the Outbreak is worth a look. In this game, players receive clues and analyze data in order to solve infectious disease cases and save lives. With as many as twelve different outbreaks, this free app let’s you become a member of the Epidemic Intelligence Service where you will have the opportunity to climb the ranks from Trainee to the ultimate title of Disease Detective. Along the way you’ll have to decide – do you quarantine the village, talk to people who are sick or ask for more lab results? Act fast and you can save a whole town, state, or even a country. Come up with the wrong answers and, well…you can always try again! By engaging in this game, players not only learn about diseases, but they gain appreciation for the CDC’s real-life Disease Detectives who work 24/7 on the front lines of public health helping to investigate and isolate new outbreaks that occur day after day. This app is a fascinating way to demonstrate epidemiology at work and possibly encourage students to pursue a career in the sciences. If you have other helpful parenting or immunization apps that you’ve used, please share your suggestions in the comments below. Where was this 9 months ago? Well, @reissd, now you’ll know it’s here for your next child 🙂 You may still want to check it out moving forward. The CDC has a vaccine schedule app. Le sigh… one could also ask where it was twenty seven years ago. Though having a child who had neonatal seizures on his second day of life, one thing that was closely watched for any issues in development. His were addressed earlier than others because of this. By the way, there is a problem with being too hawk-eye with the development curves. My mother-in-law worried about the speech development of my youngest. While I was pregnant with her when the neurologist told me that the speech/language delays of my sons* may be genetic it turns out that my daughter got a BA degree in linguistics, which including learning to speak Japanese, French and Swedish (plus some Korean) two months before she turned twenty one years old. She is presently working in retail with plans to become a speech therapist. * It turned out the younger son had a language delay related to his older brother’s lack of speech. Which is weird. Anyway, he is okay… has a math degree and working at a grown up job (one where they expect him to log in from home!). Relax folks. Make sure your kids are protected from diseases (sanitation and vaccines), feed them balanced and varied diets and read to them. Take them to the pediatrician and family doctor for well child check ups well into their teens. It was at the fourteen year old “well child” checkup and tetanus booster that the doctor heard a murmur in oldest child. It was a at followup echocardiogram that discovered he had a fairly common genetic heart condition that was usually diagnosed only after “sudden cardiac death.” There is no “app” for that. Just make sure your kids have their vaccines, learn to wash to their hands (which is often not easy**), get regular check ups from a real medical care practitioner, exercise, get to play freely, and have a balanced healthy diet (and not be like my middle child who hid the veg around the house instead of eating it!,,, he was caught due to the fact I could smell it decaying, something his four year old mind did not take into account — over twenty years later his does he vegetable, but I still bug him about it). ** Due to a really stupid design the main floor powder room in our house is right off of the living room. It can be annoying and embarrassing… but it was truly helpful in making sure a certain kid washed his hands. (by the way, I designed the house, so it is all my fault … I’ll leave it to future owners to fix it). Good app software used on cell phone. As a new mother, I download the Glow Baby App immediately, it is really working well for me.